Options for Fishing Regulations in the Papahanaumokuakea Marine National Monument Expanded Area: Presidential Proclamation 9478 set aside an area adjacent to the Papahanaumokuakea Marine National Monument as a Monument Expansion Area (MEA). The proclamation prohibits commercial fishing and anchoring on coral but allows regulated Native Hawaiian practices and non-commercial fishing. The Council is tasked with recommending fishing regulations for the MEA consistent with the proclamation. Acceptable Biological Catch for Main Hawaiian Islands Kona Crab: The SSC will recommend a 2017 acceptable biological catch (ABC) for Hawai‘i Kona crab. The ABC is the foundation on which an annual catch limit (ACL) is based. A 2015 stock assessment reviewed by the Center for Independent Experts indicates the stock is likely overfished. 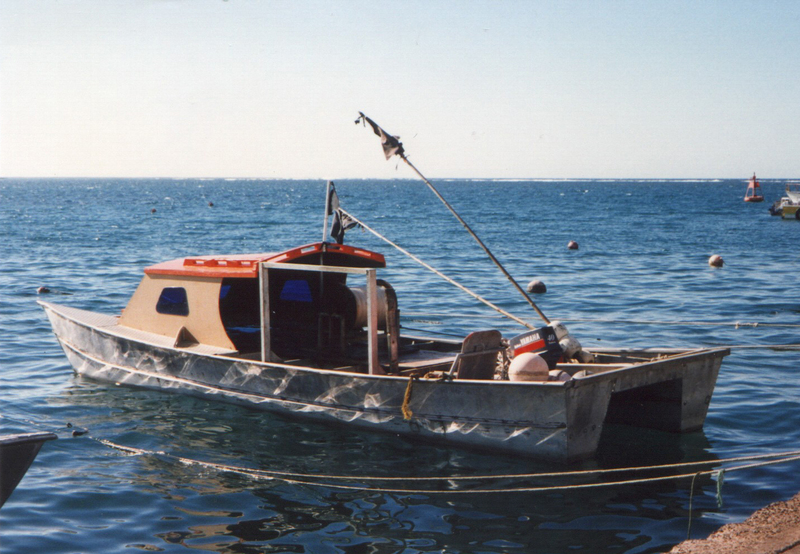 The assessment assumed a male and female catch retention fishery. However, State of Hawai‘i regulations have allowed retention of only males since 2007. In earlier discussions, the SSC expressed concern about the impacts of non-retention of female crabs. The current ABC of 27,600 pounds is three times higher than the sustainable catch level based upon the 2015 stock assessment. NMFS will present alternative ABCs for the SSC to consider. Harvest of slipper lobster (left) in CNMI and jacks (right) in Guam have surpassed their annual catch limits. Some overages may be due to better catch reporting and changes in the survey protocol. Annual Catch Limits: Several species of fish were harvested over their 2016 annual catch limit (ACL). American Samoa exceeded its ACL for rabbitfish (Siganidae); Guam for jacks (Carangidae); and CNMI for slipper lobster. The SSC will review the rationale for these overages, which in some cases may be due to better reporting of catches and changes to the survey protocol. The American Samoa small-boat alia longline fleet included around 40 active vessels in 2002; a single vessel remains active today. In 2016, US longline vessels based in American Samoa were provided with an exemption that allowed them to fish in waters from 12 to 50 nautical miles (nm) from shore within the American Samoa Large Vessel Prohibited Areas (LVPAs) while continuing to prohibit them from fishing 0 to 12 nm from shore. The exemption recognized the precarious economic status of the fishery, the uncertainty surrounding the future of the Territory’s tuna canneries and the reduction of the small-boat alia longline fishery to a single active vessel. The Council had developed the LVPA to mitigate potential gear conflicts between the larger longline vessels and the alia fleet, which numbered around 40 in 2002. Council staff will present potential options for the American Samoa Large Vessel Prohibited Areas (LVPAs), following a court decision in early 2017 that vacated the exemption as it had not considered the American Samoa Deeds of Cessions as other applicable law, and specifically the need to protect American Samoa cultural fishing practices. The SSC will consider defining American Samoa cultural fishing. For the complete agenda and meeting documents, go to http://www.wpcouncil.org/2017/05/04/126th-scientific-and-statistical-committee-meeting/ or email info@wpcouncil.org or phone (808) 522-8220. Scientific and Statistical Committee: Debra Cabrera (St. John’s School, Guam); Paul Callaghan (University of Guam retired); Frank A. Camacho (University of Guam); Milani Chaloupka (University of Queensland); Erik Franklin (Hawai`i Institute of Marine Biology); Shelton Harley ( Ministry for Primary Industries, NZ); Ray Hilborn (University of Washington); Justin Hospital (NMFS Pacific Islands Fisheries Science Center); David Itano (fisheries consultant); Donald Kobayashi (NMFS PIFSC); James Lynch (K&L Gates LLP); Steve Martell (SeaState Inc.); Domingo Ochavillo (American Samoa Department of Marine and Wildlife Resources); Ryan L. Okano (Hawai‘i Division of Aquatic Resources); Graham Piling (Secretariat of the Pacific Community); Kurt Schaefer (Inter-American Tropical Tuna Commission); Craig Severance (University of Hawai`i at Hilo, retired); Michael Tenorio (CNMI Division of Fish and Wildlife). Western Pacific Regional Fishery Management Council: Secretary of Commerce appointees from nominees selected by American Samoa, CNMI, Guam and Hawai`i governors: Edwin Ebisui Jr. (Hawaii) (chair); Michael Duenas, Guam Fishermen’s Cooperative Association (Guam) (vice chair); John Gourley, Micronesian Environmental Services (CNMI) (vice chair); Christinna Lutu-Sanchez, commercial fisherman (American Samoa); McGrew Rice, commercial and charter fisherman (Hawaii) (vice chair); Michael Goto, United Fishing Agency (Hawaii); Dean Sensui, film producer (Hawaii); Archie Soliai, StarKist (American Samoa). Designated state officials: Anthony Benavente, CNMI Department of Lands and Natural Resources; Suzanne Case, Hawai`i Department of Land & Natural Resources; Matt Sablan, Guam Department of Agriculture; Henry Sesepasra, American Samoa Department of Marine & Wildlife Resources. Designated federal officials (voting): Michael Tosatto, NMFS Pacific Islands Regional Office. Designated federal officials (non-voting): Matthew Brown, USFWS; Michael Brakke, US Department of State; RADM Vincent B. Atkins, USCG 14th District.